An outbreak of equine flu has led to the cancellation of all British racing. The British Horseracing Authority will announce on Monday if containment measures have been successful. A confirmed outbreak of the highly contagious equine flu has led to the immediate cancellation of all racing meets in Britain. Urgent action taken to prevent the spread of the virus and horse racing chiefs will assess the effectiveness of the action on Monday. 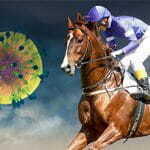 The Horseracing Authority took swift and decisive action when three vaccinated horses tested positive for equine flu. And while it is rarely fatal in vaccinated horses, it is debilitating for the horse and recovery is very slow, often taking many months for full recovery. It is, however, the extreme contagiousness of the virus that is of the highest concern. 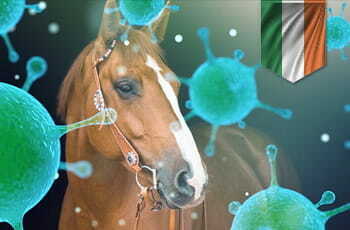 Like influenza in humans, equine influenza is easily spread, as the virus is released in the atmosphere as droplets when the infected horse coughs. The British Equestrian Federation state an infected animal needs to be isolated by at least 100m to reduce the risk. 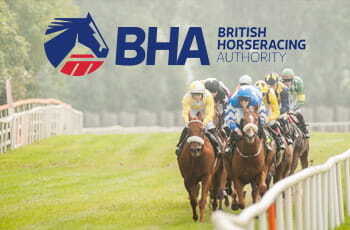 British horse racing has been cancelled until February 13th at the earliest due to an outbreak of equine flu. This widespread cancellation of racing events is the first experienced in the UK since the 2001 foot-and-mouth outbreak. Horse racing was hit badly in that epidemic as well as tourism and farming. The wider impact to the economy was estimated to have been £8bn. Cancelling race meetings will be an expensive exercise for the industry and would not have been a decision taken lightly. 6,000 people are directly employed in the care and training of horses in Britain. 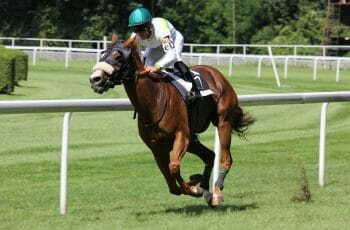 Many thousands more are employed either directly or indirectly, such as jockeys, press writers, on-course bookmakers as well as catering and hospitality roles. The impact on TV and gambling companies will also be significant with horse racing being the second most watched and gambled on sport in the UK, with racing on British soil being the most popular. It will be an anxious wait for all those involved in both the sport and the welfare of the horses. Symptoms can take up to three days to be visible in infected horses. BHA chief executive is hopeful that the disruption will only last “a few weeks at most”. As a guest on Good Morning Britain, Nick Rust explained that if the race meetings hadn’t been cancelled, it would have turned into a much bigger problem, lasting as long as six months. If Rust’s optimistic outlook is correct, it will allow all those involved to breathe a huge sigh of relief. Horse racing is fast approaching a busy period and an extension of the course closures will hit the sport hard. A worst-case scenario would see next month’s highly prestigious Cheltenham Festival called off. The festival has the second highest prize fund with only the Grand National being more lucrative, and often features some of the most thrilling clashes in the horse racing calendar. The Cheltenham Gold Cup, Champion Hurdle and the Queen Mother Champion Chase are among the headline races. As the event sometimes often coincides with St Patrick’s Day it is a very popular event for spectators. Bookmakers would also suffer a huge financial hit with any disruption to the festival. Cheltenham is so popular with punters that it is worth more to them in terms of revenue than the Grand National and Royal Ascot combined. Analyst have suggested the impact could top £1bn.